We regret to inform you that we have to close down the Republic of Bitcoin. It was an experiment, and, unfortunately, it failed. We turned out not to able to pay 100% per month. We can easily pay 30% per month (and we proved it in practice in many countries), but 100% is too much even for us. That’s why the RB will be closed down. All the participants’ RB-Mavro are transferred to the MMM-structure of the countries which the participants come from. If there is no MMM-structure working in this country, it will be created within two weeks from the date of this announcement. All RB-Mavro will be demonstrated as "old" Mavro in PO. Any operations with them are impossible. Gradually, as your country will be developing, they will be paid back. 10% of the total input of the system will be spent on repaying “old” Mavro. This practice has already been tested in many countries and proved that it works. It usually takes a half a year to pay back old" Mavro. This news is not very pleasant but there is nothing that can be done about it. It''s not the end of the world. We just have to wait a bit. 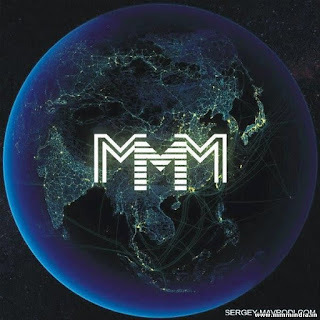 We hope for understanding, Administration"
MMM has opened in more countries as promised, also members of the Republic of bitcoin are moved to their various countries MMM-structure while they wait for the repaying of their "old" Mavro as promised by MMM. According to MMM this could take up to 6 months. Together we will change the world!